Fall is upon us and with it often comes the desire to change up your backyard landscape. If you have Tucson sod growing in your lawn, you can easily alter some areas to add shrubs or trees if you want to do a bit of a fall makeover on your lawn. If you live in Tucson or Phoenix, you are well aware of the unique climate Arizona has in the fall. What you may not know, however, is what plants and trees grow well during this time of year. To help you out, here is a breakdown of the top 5 plants and trees that grow well in Arizona during the fall. This tree does not need much water and has a slow growth rate. It will flower in the spring and summer and produces yellow puff ball flowers. As a bonus, this tree attracts birds. This tree can stand low temperatures and needs little water. It's known for its striking white, peeling bark. This is a small tree and works great on a patio or other small area. The leaves are shaped like butterflies and they do not leave a lot of mess on the ground when they start to die. This tree can tolerate temperatures dropping down to 20 degrees. They produce beautiful yellow spikey flowers that bloom in the winter. This tree can tolerate temperatures dropping down to 0 F. It grows in a sprawling type of manner and produces humble green flowers in the spring. When planting your trees, try to plant them in an area that gets a lot of sunlight so they grow healthy. You'll also want to remove your Tucson sod around the tree. About a one foot diameter of mulch and soil is best for tree health. This shrub is native to Mexico and produces yellow flowers from spring to fall. This shrub attracts hummingbirds and other types of birds. This plant needs moderate amounts of water to survive and can tolerate low temparatures. It has a slow growth rate and blooms cream-colored flowers during the summer. The desert willow is most popular for its flowers, which come in trumpet shaped shades of white, pink and purple. 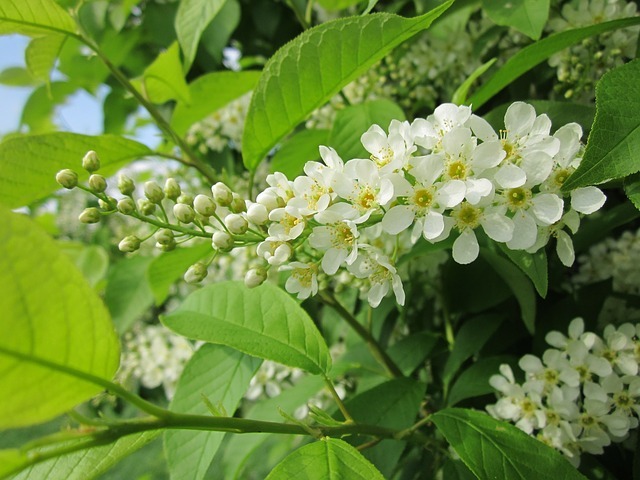 This shrub works great in any backyard or garden and produces a very pretty white flower. It grows slowly and has a solid trunk. This bush works well planted next to backyard pools. It has a lush appearance once full grown and does not need much water to thrive. If you need any other help or advice on your backyard landscaping and Tucson sod, contact us.